Isuzu Repair in Orlando | C & G Auto Center Inc.
For premier Isuzu auto repair services, choose the superb team at C & G Auto Center. Orlando, Davenport, and Winter Park automobile drivers have come to rely on your A+ auto mechanics to provide accurate and through services that will get them back on the road feeling safe and secure in their Isuzu. Neglecting Isuzu repair could lead to dangerous scenarios on the road and hefty repair costs down the line. Whether the malfunction is significant or minor, you can be certain that our auto mechanics are ready, willing, and able to offer services that are superb. 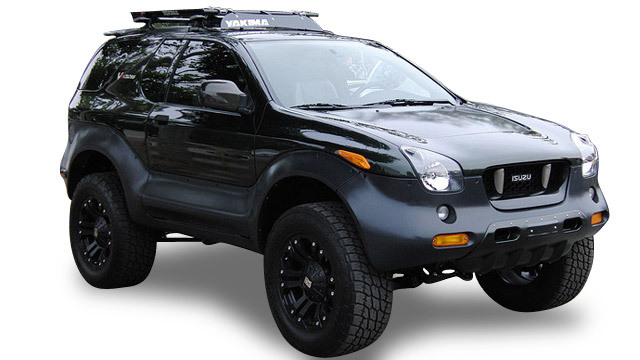 We have years of experience repairing Isuzus so we are well aware of the nuances of this vehicle. Our customers mean the word to us and we are genuine in our concern for their safety. Clients realize this immediately and often become clients for life. “These guys are honest, straightforward, and will do a fantastic job at a great price. I'm not doing well financially, but they were willing to work with me. Fast and efficient service with a smile. Some of the nicest mechanics I've ever had. I will be coming here for all current and future repairs. Just make sure you call before you make a visit. It's a small shop and could be full. You won't regret it!” -- P.S. C & G Auto Center is committed to providing car owners in and around the Orlando, Davenport, and Winter Park areas with top-notch auto repair and customer service. Please contact us for Isuzu work, schedule an appointment online, or visit us at 4155 W Oak Ridge Road in Orlando. Clients rely on our team of adept auto mechanics to offer services that are unrivaled by the competition. We look forward to giving your Isuzu leading services so you can get back on the road feeling secure.